We'll be running a short series of guest posts with a fun theme! Our guests have been asked to share an unusual or unique writing habit. During the past several months, I have experienced quite a few health problems. I didn’t feel like sitting at my computer to work on my next book. Instead, every time a thought popped in my mind about a character or a plot, I would write it on a sticky note and place it in a basket. While sitting in a doctor’s office, the hospital, or just resting I continued this pattern. I made sure I always carried a little notebook with me at all times to jot down any thoughts that might enter my mind. When I felt better I went to the basket and pulled out the notes. I was surprised when I saw I had hundreds of pieces of paper filled with words. I took each note out and decided where it would fit best in my book. Then I placed each one in folders labeled as Chapter 1, Chapter 2 and etc… When I was able to start working on my book, I got the folder that said Chapter 1 and placed each sticky note on my easel. Right before my eyes was a complete chapter, and all I had to do was connect them all together. It was like putting a puzzle together, piece by piece. The words seemed to flow and before I knew it, I had finished. This is how my new book, “The Problem with Pearls” was written. Yes, to some of my author friends this sounded very strange, but it worked for me. It was so much fun I have decided to do my next book in just this same way. As a matter of fact, I have my basket sitting right beside my desk just waiting for me to get started on book number ten. About the author: Phyllis f. McManus was born in Monroe, North Carolina. 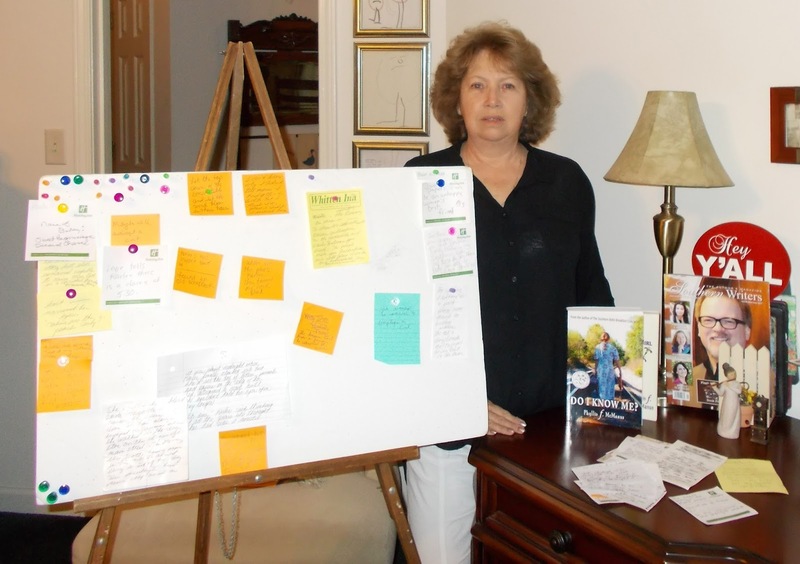 She started writing as a form of therapy when she lost her parents in a car accident in 2002. She loves to write from her heart and this shows in her characters. She won 1st place nationwide in the Union County Writer's Club poetry competition in 2008 with the poem, "The Edge of Darkness." This is a poem focusing on Alzheimer's, which her Mother had to live with. She also won an award with her short story, "Mama's Memory Box," in 2011. She won first place in fiction short stories for "The Special Gift" in 2015, sponsored by the Union County Writers Club. She is currently doing public speaking about her journey of writing. Her new book, "Do I Know Me? ", has been added in the Sneak Previews in the Southern Writers Magazine for January and February, 2016 issues. 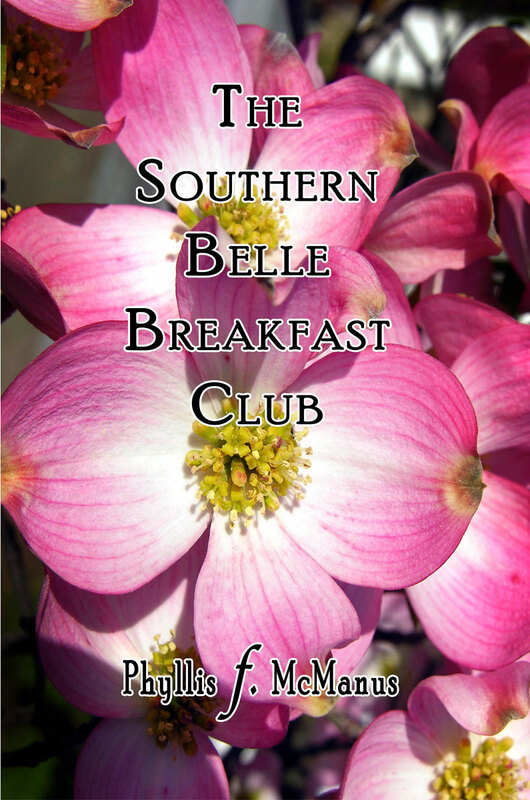 Also, "Southern Secrets," her sequel to "The Southern Belle Breakfast Club" has been placed in the Must Read section of Southern Writers Magazine as well. Her readers that follower her in her journey calls themselves her "bookies." They make sure they give her encouragement and motivation when she gets writers block.